Well of course it’s all a load of twaddle. Beer drinkers know that, but if you’re new to beer then you’d be forgiven for the headline making you think twice about any beer you were ABOUT to try. Well, don’t think twice. Just go ahead and drink some. That kind of mis-information really gets on my pip! Why not read the truth about beer here on a post I wrote for you almost a year ago beer healthy’s qualities! My message to the Daily Mail is please STOP getting beer twisted!!!!! “Today’s reports suggesting that a pint of ale contains nine teaspoons of sugar are hugely wide of the mark. We are investigating where these figures came from. 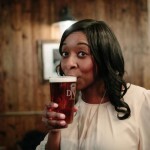 “In fact, a pint of ale typically contains less than a teaspoon. “While the total carbohydrate content might be higher, this is only because the finished beer contains other sources of carbohydrates, such as soluble fibre, which have positive health benefits. “Most beer will have very little, if any, sugar added during the brewing process, and sugars added will almost entirely be converted into alcohol. 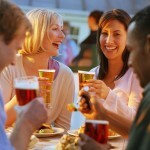 “As today’s debate about sugar is largely a proxy for calories, it is worth remembering that beer is low in calories. A typical half a pint of bitter contains just 90 calories; that’s fewer than in the same amount of orange juice, or milk. 4 Responses to Beer gets dragged into the sugar debate…. Beer is my favorite mode for adding carbohydrates to my diet. The Daily Mail should be made to retract this stupid story and make an appology. What kind od damage to the industry has this really stupid headlines done? Pretty weird thing to post seeing as how the sugar levels vary so dramatically from beer to beer. Or between any drinks really. It’d be like if someone said juice drinks typically have a certain amount of sugar… I mean the difference between apple juice and orange and grape… I definitely agree that The Daily Mail should fall under the category of tabloid if they are publishing random made-up facts like that.